Following the loss of 10 classrooms to a fire in 2016, Wesley College has commenced the construction of a new Glen Waverley Campus redevelopment. A new chapel, with striking façade and views looking onto the natural landscape of the campus. 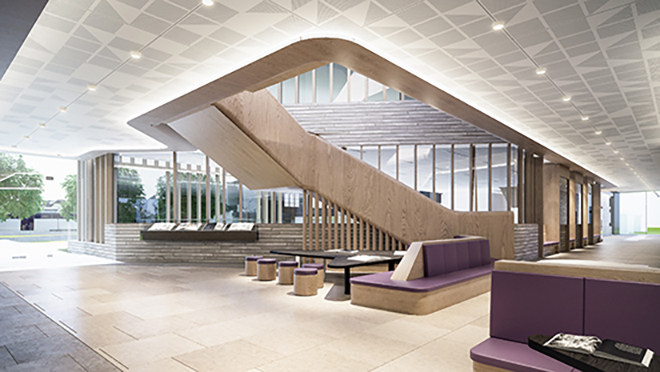 The building will be positioned at the centre of the campus, providing a centralised learning space that supports transitions through year levels. Principal Dr Helen Drennen AM is looking forward to seeing the impact of the completed facilities. “I am eager to witness our vision for this contemporary campus redevelopment come to life. “A carefully considered Education Brief has inspired the concept for this exciting development, which gives greater recognition to the transitions central in the adolescent school years. “In the fire of 2016, we lost 10 classrooms including, six Years 5 and 6 homerooms and four language classrooms which comprised part of the original school, plus the Middle School atrium and some staff offices. 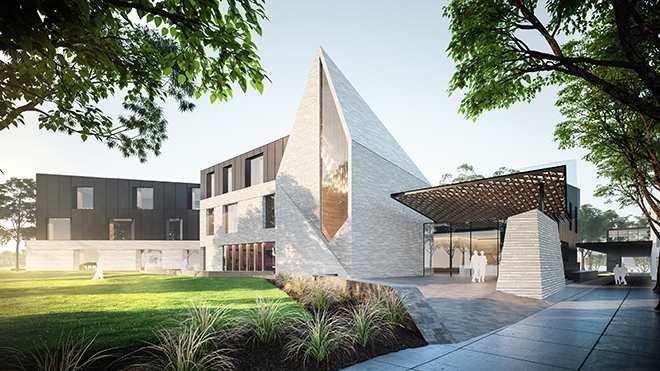 “The redevelopment project, designed by award winning Cox Architecture, represents the next stage of the Glen Waverley campus’ development,” Dr Drennen said.